Bronson: I've been doing research on you Bil, and even though I've known you for like 25 years I had to go back and refresh my memory about everything. You're from the D.C. area originally, right? Bil VornDick: Yeah, Northern Virginia. Bronson: You came to Nashville as a musician with a band didn't you? 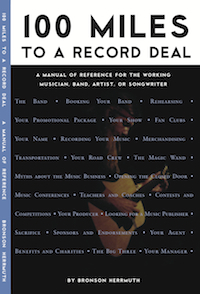 Bil VornDick: Well I came as a songwriter signed to Cedarwood in 1969. That was before the interstates so it took a long time to get here but my dad would let me go pitch songs in New York when I was about 16, so I got to do all that, the meet and greets in New York and stuff. A lot of people kept on saying you need to come to Nashville but at that point, in Washington you could get on the metro liner and in 4 or 5 hours you'd be in New York. In 15 minutes you're in you're hotel where driving to Nashville, I think it was like 20, 24 hours or something. Bronson: So what year are you talking about then? Bronson: So that's the year you actually came to Nashville? Bronson: When you came I know you went to Belmont. Was that something that happened after? Bil VornDick: A gentleman by the name of Chet Atkins mentored me when I was 19 and he would invite me to his shows in the Washington, D.C. area. I was in a band, a prominent band up there. So he encouraged me to keep coming to Nashville and when Belmont started their program he's the one that told me about it and then signed my paperwork so I could go there. Bronson: Is he who made Cedarwood Music aware of you? Bil VornDick: No, a guy by the name of Frank Grist that worked for RCA up there kinda got all that going for me. Bronson: And that's how you met John Denny? Bronson: I was coming out of that Winnebago and you were coming out of his house and he introduced us. Yeah, I love John Denny. Bronson: So you went to Belmont. Did you have that affinity for recording before you got to Nashville? Bil VornDick: Well it was recording and production, is what I wanted to do and write. I was very fortunate to have some songs out, but nothing that went top 10 or anything like that and I wanted to help other people. 'Cause even when I was in the band in High School, if my band wasn't playing I was out with a 2 track tape recorder recording my friend's bands and stuff. Bronson: You still have any of those tapes? Bil VornDick: (laughing) Oh yes. Bronson: So when did you meet Marty Robbins? Bil VornDick: Marty had opened up the studio there at the old union hall and I was doing some demos there. He walked in one day and said he was looking for a chief engineer and if I would come over and meet with him that next afternoon, and I did. At that point Scotty Moore was doing a lot of the sessions there and a gentleman by the name of Al Gore. Not the vice president (laughing) a real nice guy. He offered me the job to be his chief engineer and I didn't even ask what it paid. Bronson: You just said Yes Sir. Bronson: Now did you engineer for him live too or just in the studio? Bil VornDick: No, just in the studio. So I worked on 3 albums with him. "With Love", "The Legend", and I worked on some of "Everything You Ever Wanted". Bronson: What were those years, what period was that? How many years were you with Marty? Bil VornDick: That was '79 till pretty much until he passed away. Bronson: So he passed away, what happened then? What was your next move in your career? 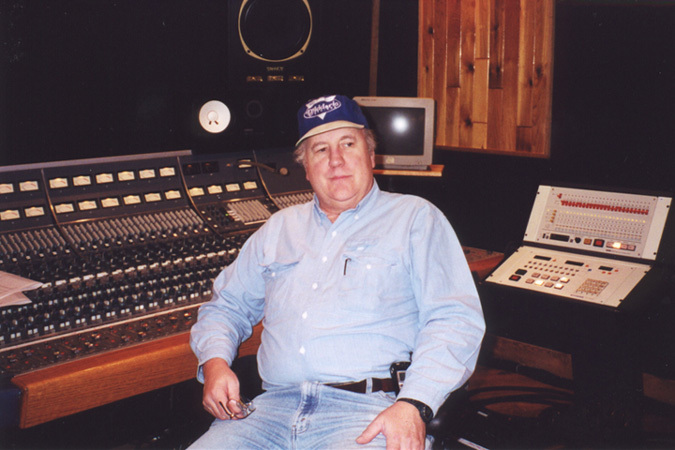 Bil VornDick: Ken Laxton was a engineer over at CBS and he had a production company so I started doing a bunch of the engineering for his project out in Berry Hill and then some of, still my best memories are doing demos with Harlan Howard. Harlan called me to do his demos and the demo singer was Keith Whitley. You know it didn't get any better then that. Bronson: So all through this period were you also combining as often as you could with the production side or was this all pretty much just engineering? Bil VornDick: Mainly just all engineering. I did produce some stuff when I was at Marty's. People would call me to produce things so that's pretty much when I started. Bronson: One of my favorite groups of all time man is New Grass Revival and all the members of's individual projects. How did you come to work with New Grass Revival? Bil VornDick: I guess it was about '83, Marty had passed away. When I was in college I would go out on weekends and do sound at festivals, so I knew Sam Bush pretty much from when he started and Jerry Douglas and all those guys and Bela. So Bela approached me to do the "Deviation" album and at that point I had just finished building the studio which is now known as Curb studio on 16th for a company, so we did "Deviation" at that point and then in the next couple of years they got signed to Capital as a group. Garth Fundis was the producer and I recorded the "Hold To A Dream" album. Bronson: Great, great record. So you've been nominated now I believe, for 42 Grammy finalist nominations? Bil VornDick: I've had 45 projects that have been up for Grammys, yes. Bronson: And how many have you won? Bil VornDick: There's been 8 that have won. Bronson: Man, Congratulations, that's incredible. Bil: VornDick Thank you. It's just nice that you know, your peers like what you do. Bronson: So what was your first Grammy winner? Bil VornDick: "I've Got That Old Feeling" with Alison Krauss. Bronson: So Alison, you knew Alison earlier than you actually worked with her didn't you? Bronson: How old was Alison when you met her? Bil VornDick: She was about 15 and I worked with her for quite awhile until I did the album with her and her band called "Two Highways", which was her first Grammy nominee. Then I wanted to do something different, a little bit more across the fence kind of splitting bluegrass and country, and that was "I've Got That Old Feeling". It worked. Bronson: Right. I know you've done a lot of recording with Ralph Stanley and it was 98', 99' when you did "Clinch Mountain Country", or "Clinch Mountain Sweethearts" was it? Bil VornDick: Well "Clinch Mountain Country" was first. That was with Bob Dylan and I think there's 34 different artists, major artists on that paticular project. Bronson: That had to have been incredible. Bil VornDick: It was. It was a logistical nightmare though. It wasn't the artists, the artists wanted to sing with Ralph. It was going through the management and the labels, though most of the labels were very favorable to it because Bob Dylan was going to be on the project. Bronson: That was #1 country song of the year for the Rolling Stone, wasn't it? Bil VornDick: Yeah, #1 country album of the year. Bronson: All through this though you had that relationship with Belmont. You've continued that relationship with Belmont and several other institutions haven't you in the educational mode? Bil VornDick: Yes, I'm an adjunct professor at Belmont. I teach the upper class juniors and seniors when they're getting ready to walk out. I do a recording techniques class and my class room is normally Ocean Way Studio A for that. I was on advisory boards and the board at different times at Belmont. I'm on the advisory board for South Plains college for their recording program there and have been since about 1990. Bronson: You're also very active in the Audio Engineering Society. You've actually been past chairman? Bil VornDick: I've been past chairman twice. Bronson: Wow, that's a good thing you all have that unity. You have the golf tournaments that you do. Bil VornDick: And that helps other engingeers. I'm one of the instigators of that so it could help others. Bronson: Right. If someone wanted to help with that, how would they help with that? Is there a way the average person could help with that? Bil VornDick: Sure, you can go to aesnashville.org and send Nipper, who's the webmaster an email. Tell him you want to get involved with the golf tournament and he can send that information to Nicole or one of the people on the board. Bronson: You have a studio in your house I know that you've been working on and constantly doing updates to, and doing projects right there at the house. What's some of the music that you're working on right now in 2008. What's just one of the projects, you're involved in so many things. Bil VornDick: Let's see. I finished Rhonda Vincent's new album that's out right now. At Ricky Skaggs studio 2 weeks ago I cut, recorded a project with Charlie Haden, the jazz bass player, with Pat Methany, Bruce Hornsby, Jerry Douglas, Bela, Dan Tymenski, Stuart Duncan, Bryon Sutton and Charlie's daughters, Rachel, Tanya and Petra. Bil VornDick: Yeah, Pat Methany was awesome to work with. Bronson: Now that is a recording project being done by a label? What is the purpose of all those people? Bil VornDick: It's on Decca, a division of Universal out of New York and it's probably going to be slated for release in August of 2008, and I just heard a couple days ago that the Lincoln Center has contacted Charlie to kind of recreate everybody on the album up at the Lincoln Center. That's pretty cool. Bronson: And also you're working right now with Jonell Mosser, right? Bil VornDick: Yeah, getting ready to go in with Jonell. Bil VornDick: (laughing) Well you know Jonell's particular style. I'm definetly looking, matter of fact I just moved over 8 for the first session, to get the charts written and get all that organized. Bronson: Now I know you've also been active at different times in your career doing soundtracks to like documentary's. You did one with James Taylor didn't you? Bil VornDick: Yeah I did "Riding The Grand" for the National Geographic Society. Bronson: Wow, what year was that? Bil VornDick: '96, '97, and it was with his band, so I got to work with Grolnick, and you know, the band that was with him at the time, it was great. Carlos Vega on drums. Bronson: You do so many things Bil and I hate to pin you down on this but I'm always so curious when I'm with somebody who's so talented in so many different ways who can put on so many hats. If you could only do one of the many talents you have to pursue, just one thing that you could do, what would it be? Bil VornDick: Finish the new musical that I'm working on, "Yesterday's World". 'Cause I have one that looks like it's going to go on stage next year that I wrote when I was in College. Yeah, I'm finally getting around to it. I've got like 3 musicals that I haven't heard on stage yet but I'm working on a new one and I guess that. Seeing that on stage. Bronson: Now when you say musicals? Bil VornDick: Full length musicals like you know 2, 2 1/2 hour stage presentations. Bronson: Everything about them you wrote by yourself? Bil VornDick: Well no, co-wrote in most cases. The new one, "Yesterday's World", I'm writing by myself. Bronson: Wow, that's got to be massive man. Bil VornDick: It's .... Yeah. Bronson: Six hundred albums, you've had #1's in five different genres. If you had any advise to someone out there that's young and they've chosen music for their life. They've made that decision that that's who they are and what they want to do. They want to play music for their living and take their music all over the world. Is their anything, or a couple things you could give them that would be advise that you, as the creative indivdual that you are, that would inspire you to want to work with them. What would you be looking for? What should they be concentrating on? Bil VornDick: They have to have the vision. They have to have the dream and understand that no is just a two letter word and three has got more numbers in it. You're going to get a lot of no's in life and no's seem to stop people but it can't stop you if you're going for your dream. And also to posistion yourself to be at the right place at the right time, if you can. Bronson: Yeah, if you can. Bil VornDick: Yeah, I mean it's a matter of odds. Bronson: I've had the honor of co-producing with you before and I've sit in the studio with you doing a project. A lot of times when someone thinks engineer they think someone that twists knobs. Thier job is the technical side, the knowledge of the microphones, of course which all of that is, but when you engineer someone there's a whole, whole, whole lot more to it. When you're going into the studio and you're engineering, a lot of times you're actually working on the charts, working with the number system, the interplay with the musicians, the ability to get things out of them that other folks can't because they feel comfortable with you and the sounds you're getting up for them. Is that the fact that you were a musican? Talk about that a little bit. Bil VornDick: Yes, I would definetly recommend that anybody that wants to go into production, engineering, that they at least have a few instruments under their belt and they can read music and then they can arrange it. Fortunately I was classically trained so I've had the Ottman and the Piston classes in music that helped you think of counterpoint so I try to have a lot of counterpoint in the arrangements during projects, you know if they work. It's no different then a harmony line by thinking of a counterpoint instrument line that will compliment that harmony line. Bronson: When you're actually working on a project there's so many things going on in the room, all the musicians are playing. What's the sequence of events that you listen to that you're hearing in your ear. I mean are you focusing first on the drum and then you're going to the bass, or does it like all come together and you don't even think about it? Bil VornDick: All together, yeah. I'm pretty much looking at the feel and the pocket and trying to describe, define feel and pocket is not an easy thing, but there's something when the hairs come up on the back of your neck that you know that it's right. Bronson: You just go with that inner gutt and don't question it? Bil VornDick: Yeah, it's a gutt thing. Bronson: So what about someone that we've never heard of that you're fixin' to work with. You're famous for that man, finding talent or they find you and then you expose them like you have so many times with so many people, who is there that we don't know about that we're going to be hearing about? Bil VornDick: You're going to be hearing about Sarah Darling. She's on a new logo for Universal and we're going to be starting that in the last part of March. Well a lot of people haven't heard of Jonell Mosser. Bronson: I guess I just assumed because down here she's like a goddess. Bil VornDick: In Nashville everybody knows who she is but she's never had a real shot at the world and fortunately this project will be able to get her there. Bronson: Well man I wish you all the luck in the world Bil. I appreciate you coming and doing this and sitting with me, I know you're really, really busy and I thank you for taking the time. I appreciate your friendship. Bil VornDick: Hey, we've been friends for ever. Bronson: Well I'm hoping we can do a project together here real soon. Thank you for coming. Bronson: And thank you Michael Holmes for the use of your studio and we'll see you next time.